When I was a senior in high school, my goal was not just to go to college; I wanted to go to college as far away as possible from my northern Virginia hometown. But when the acceptance letters rolled in and the dollar signs started showing, I quickly realized that my romanticized higher education plans were simply not going to pan out. My solution? Deny every acceptance letter I had received, apply (past deadline) to a small private college in southwest Virginia that I had never heard of, and wing it. Fortunately, that small private school, Emory & Henry College, accepted me and provided enough financial support to seal the deal. 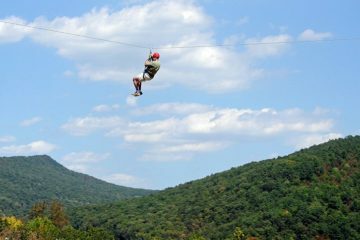 Beyond my misbegotten decision-making process, the one allure that Emory & Henry College held above the rest was a seemingly awesome outdoor program. With less than 1,000 students, Emory & Henry’s tightknit community easily paved the way for my discovery of the incredible opportunities for outdoor recreation in and around the college campus. For the majority of my life, I had been a Pony Clubber and a band geek, but never a kayaker, never a backpacker. When my four years at Emory & Henry were drawing to a close, I had morphed from ballerina to dirt bag. I had picked up a summer job raft guiding on the New River Gorge, had spent three months bushwhacking and canoeing with the NOLS Amazon semester, and had become intimately familiar with the many wilderness playgrounds of southern Appalachia. College selection can be a stressful and overwhelming matter. Here at Blue Ridge Outdoors, we want to make it easier. 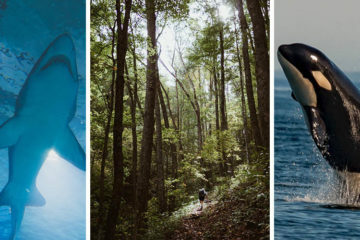 We selected the top 32 adventure schools, and readers voted for their favorites in a March-Madness-style tournament bracket. After six weeks and over 350,000 votes, our readers decided on the two best adventure colleges that went above and beyond the call of adventure. Appalachian State University, located in Boone, N.C., not only won the big school bracket but also dominated overall with 11,232 votes in the final round. 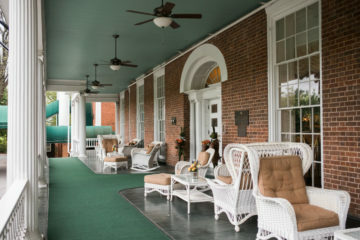 Brevard College, located a couple hours southwest in Brevard, N.C., trumped the small school bracket and came in second overall with 5,391 votes. How did two schools from the Old North State manage to wipe away 30 other colleges and universities across the Blue Ridge? The answer I heard time and time again involved two words: location and community. 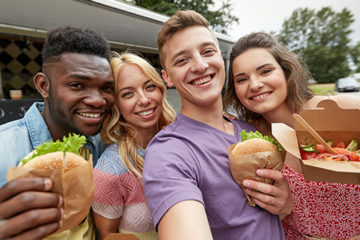 That sense of community is something OP Associate Director Rich Campbell says is one of ASU’s strongest selling points. Zachary Silverman, a senior psychology major, is one of the students who has taken his participation in OP to a new level. As the Climbing Wall Programmer at ASU, Silverman is responsible for opening up the campus indoor climbing wall to students, faculty and staff. He says the opportunities OP provided him were the reason he was able to develop his rock climbing skills and push to a higher standard. 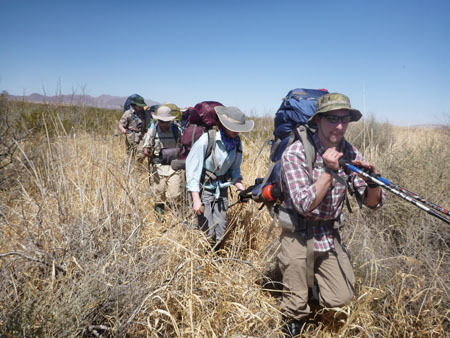 “I feel like OP has a lot of good energy because students come to ASU and are immediately embraced by people who are amped on the outdoors,” says Silverman. Andrew Hawley, one of the full-time coordinators for OP and a person who is definitely amped on the outdoors, has made outdoor recreation and education more than just a career; for Hawley, the outdoors is a way of life. For the students who choose to make some facet of outdoor recreation a part of their academic careers, the Recreation Management department at ASU provides three different concentrations in the field: outdoor experiential education, recreation and parks, and commercial recreation. Kristian Jackson, a faculty member in the Recreation Management department and volunteer boss for the local Rocky Knob mountain bike park, says that the relationship between OP and the students and faculty from the Recreation Management department is what makes the adventure scene at ASU truly unique. “We need more people to be outside, enjoying nature and adventure and realizing, through these activities, that they are capable of more than they thought,” Jackson says. With some of the East Coast’s best mountain biking, climbing, and whitewater paddling within an hour’s drive from the ASU campus, it’s easy to see why the university has worked to develop a comprehensive and inclusive outdoor curriculum into its academics. Developed in the late 1970s, OP has a long history of providing adventurous experiences for the ASU student body. At Brevard College, WLEE is not so much an acronym as it is an identity. Pronounced ‘Willy,’ the WLEE, or Wilderness Leadership & Experiential Education, program is one of the college’s landmark majors. With roughly 600 students at the college, about 10 percent of those are WLEE majors. 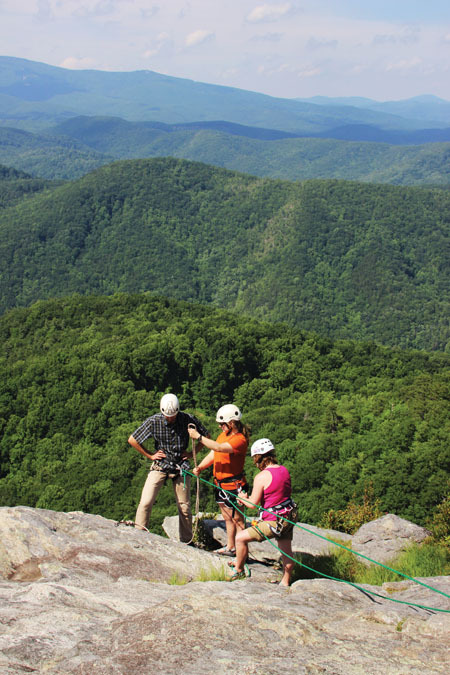 Clyde Carter, an Associate WLEE Professor and one of the founding fathers of the program, says that the proximity of Brevard College to so many outdoor resources makes it a unique gem for prospective students looking at a career in outdoor recreation. The experiential education component of the WLEE program is a core value of Brevard College in general, but the lessons learned by taking the reins and guiding a group of fellow students into the backcountry is incomparable according to Assistant WLEE Professor, Robert Dye. Dye most recently experienced the value of this lesson during the 2013 Voice of Rivers trip, a three-week, source-to-sea expedition that followed the Suwanee River from the headwaters in the Okefenokee Swamp to the Gulf of Mexico. For Andrew Gunan, a theatre and criminal justice double major, the three-week paddling trip was more than just a step outside his comfort zone; it was more like a 13-hour plane ride and a couple bus stops away. Gunan says that the river experience taught him how to work with people he may or may not like, a lesson that he knows will carry over into his career pursuits. 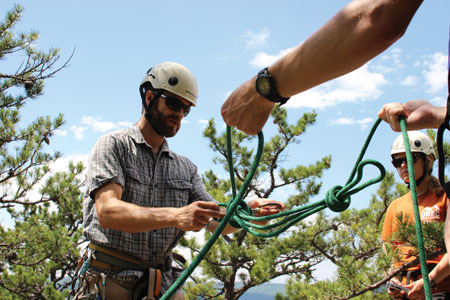 “My biggest challenge with the outdoor industry was being comfortable in communicating with all different walks of life,” says 2012 WLEE graduate Jim Wall. As a kayaking instructor and guide for Green River Adventures, Wall knows that those basic communication skills he gained at Brevard were instrumental in helping him be a successful entertainer and educator. WLEE Coordinator and Associate Professor Jennifer Kafsky says that outdoor recreation is important for just that reason. Landmark Programs: Diverse winter and spring break trips, Leadership Training seminars, freshman orientation program, SOAR sophomore retention program, first collegiate canopy tour and training center. 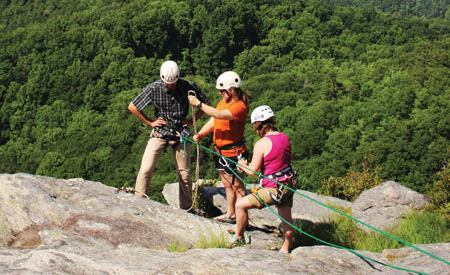 Through hands-on freshman orientation programs, Adventure WV provides incoming students with a means of developing environmental and cultural awareness as well as service learning and community collaboration. “We use the outdoors to facilitate a sense of belongingness, both with the state of West Virginia and the college community itself,” says Greg Corio, Adventure WV Director. Corio knows all too well what that sense of belonging means to a student. As a WVU alumnus, Corio decided to create an outdoor orientation program as his graduate project, which then turned into his full-time job. Third-year student Paris Winfrey is in the process of experiencing just that, having just now changed his major to business. “What we do isn’t rocket science, but we do what we do with rocket scientists as staff,” says ORGT Director David Knobbe. This is most certainly true. Georgia Tech’s prestige in the world of higher education does not include any outdoor recreation curriculum, and you certainly won’t find a major in kayaking here. Despite Georgia Tech’s renown for science and math programs, the ORGT has generated mass interest among such scholarly students. 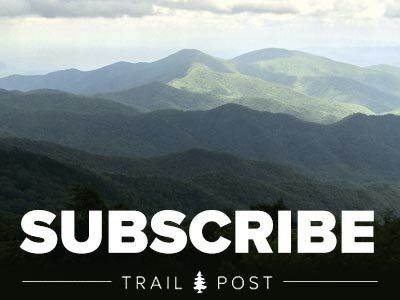 Both Knobbe and Marcus are themselves accomplished outdoorsmen, having individually thru-hiked the Appalachian Trail prior to working for Georgia Tech. The two are proud of their grassroots program, which boasts over 150 current student and dedicated alumni volunteers. UTOP Director Benjy Darnell wasn’t always a certified, safety-inclined outdoorsman. In fact, he hardly knew anything about it until he scrambled up a spray painted boulder and contemplated how neat it would be to climb up something taller. From living out of his truck and climbing for four years to learning to whitewater paddle in middle age, Darnell says the outdoors really broadened his horizons. 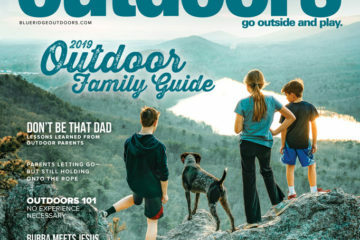 For Davidson Outdoors Director Ed Daugherty, the outdoors have always been important in his life. A 1985 Davidson alumnus himself, Daugherty has been intimately familiar with the paddling world for most of his life. He slalom raced at an amateur level for eight years before going on to the Nantahala Outdoor Center (NOC) to teach and guide for 14 seasons. 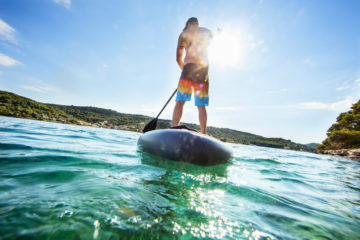 When he wasn’t working on the water, Daugherty was playing on the water and traveled everywhere from Siberia to Central America to execute personal paddling trips on an international level. When he began working for Davidson Outdoors in 1992, his comprehensive skillset and outdoor experience inspired students all over campus. 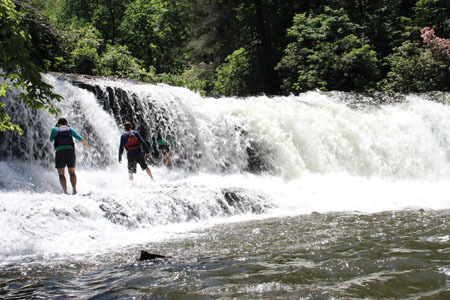 When Emory & Henry Outdoor Program Director Jim Harrison thru-hiked with his wife in 1997, they made a stop in Damascus, Va., 20 miles away from the Emory & Henry College campus. After completing their southbound voyage, the two relocated to Damascus and never looked back. 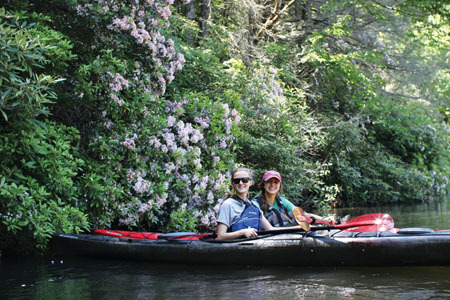 Harrison has gone above and beyond that, building a program that started as a day hiking club to a comprehensive outdoor program that facilitates everything from week-long adventures in the Florida Everglades to whitewater paddling excursions 20 minutes from campus. Warren Wilson College // If you want to get dirty and support a good cause, WWC’s Outdoor Programs hosts the Jason Hunt Memorial Challenge every year. The memorial was founded in honor and remembrance of WWC student Jason Hunt who valued helping at-risk youth through outdoor experiences. 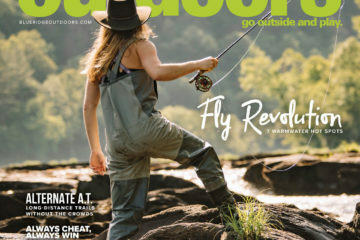 Radford University // Are you outdoors? If not, you might want to get off the couch and join RU Outdoors on one of their amazing trips, from horseback riding to tree canopy cruising and skydiving. 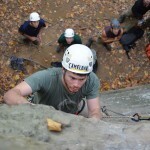 Lees-McRae College // Serious about climbing? So is LMC. Check out their competition rock climbing team and the annual Reel Rock Film Tour that Outdoor Programs hosts. 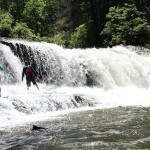 Washington and Lee University // The W&L campus location is prime for outdoor adventures. 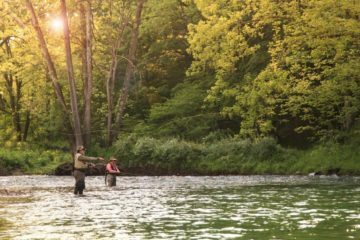 Nestled in the Shenandoah Valley, the Outing Club can help facilitate everything from flyfishing on the Maury River to caving in one of Virginia’s 3,650 known caves. UT-Chattanooga // UTC Outdoors offers incoming students the chance to be a part of WILD, the Wilderness Institute for Leadership Development. WILD takes its members into the wilderness once a month to recreate in a variety of settings and learn how to be a good leader. 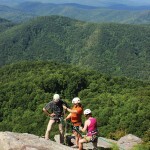 UNC-Asheville // Gear rentals, kayak roll clinics, bike shop, you name it UNCA’s Outdoor Programs has it. 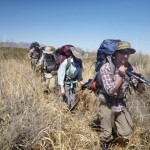 What’s more, for those that are serious in taking their outdoor pursuits to the next level, consider joining the Outdoor Leadership Training Program which not only covers backcountry skills but also history and philosophy of outdoor education, risk, and group dynamics. Western Carolina University // Base Camp Cullowhee at WCU offers the greater Cullowhee community opportunities for adventure through its outdoor-oriented events, such as the Tuck River Cleanup, the Catamount Adventure Camp for kids, and the Rock & Rumble Fest/Bouldering Competition. 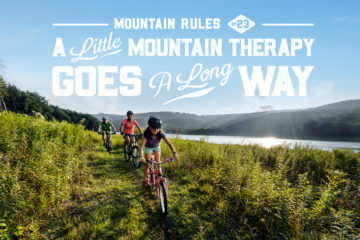 Liberty University // Running is big at Liberty and the Student Activities Board offers a variety of races under the Liberty Mountain Trail Series to accommodate the interest. From the Deep Hollow Half Marathon & 5k to the Arctic 5k, there is sure to be a race that will challenge your innermost Rambo and get the adrenaline flowing. 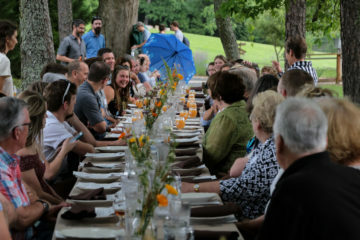 University of the South // Most universities have on-campus trails, but Sewanee’s campus knocks them all out of the water, boasting over 50 miles of trails that are open to students for hiking, biking, horseback riding and even overnight camping. University of Richmond // Natural High is not about doing drugs. It’s a program dedicated to getting Richmond’s college students away from the books and out in the woods. James Madison University // JMU is nestled in the mountains surrounding Harrisonburg, Va., so it’s only natural that outdoor adventure should rank high among JMU students’ “things to do” list. If you can’t get off campus for a few hours, check out JMU’s indoor climbing gym for some extra practice. Duke University // Duke’s competitive attitude goes beyond academics and football. 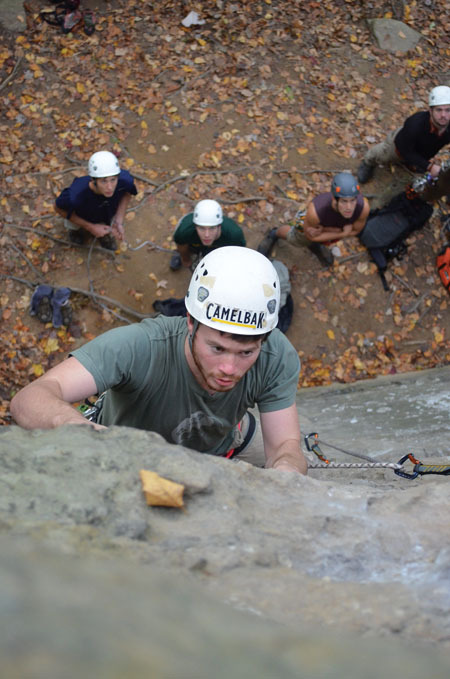 The University hosts an annual Outdoor Adventure Race and the Crimpin’ Crazies Climbing Competition for Duke’s adventurous community. University of North Carolina // Experience Carolina and broaden your perspective with UNC’s multitude of outdoor recreational opportunities, from a comprehensive Challenge Course to WAFFYS (Wilderness Adventures for First Year Students). University of Maryland // Want to go to Altamira, Costa Rica, Guadalupe and Panama? How about Fiji and Norway too? Come to UMD and discover a bottomless vault of adventure leadership courses at home and overseas. Clemson University // CU boasts an impressive Cycling Club that has been in existence for over 20 years and races across the Southeast as part of the Southeastern Collegiate Cycling Conference (SECCC). 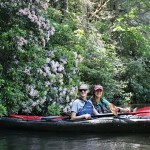 University of Georgia // If you thought you couldn’t kayak for school credit, think again. UGA offers PE credit for its fall and spring semester courses as well as its two-week adventure trip to Costa Rica. Vanderbilt // Ever dreamed of trekking through the Grand Canyon but never knew how to go about fulfilling that dream? Vanderbilt can help with its 18 years of experience traveling to and within the steep red walls in Arizona’s Grand Canyon National Park. Penn State // Yes, it is possible to learn to SCUBA dive at a state school. Just ask PSU’s Paul Rentschler, SCUBA Diving Supervisor and underwater guru. Virginia Tech // Venture out into the wilderness with VT’s Venture Out program, which provides everything from night ski and snowboarding excursions to SUP sessions. University of Virginia // Whether you’re an amateur or an experienced skier or snowboarder, the Virginia Alpine Ski and Snowboard Team offers powder lovers a chance to get the adrenaline pumping and the competitive edge on at least twice a week at the nearby Wintergreen Ski Resort. University of Kentucky // Rafting on the Chattanooga, climbing in the Red River Gorge, DOG SLEDDING in Michigan?! 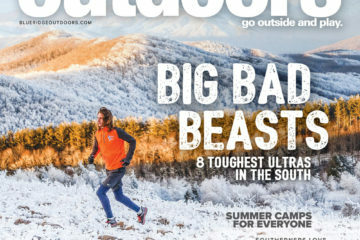 You name it, UKY’s Outdoor Pursuit team can make it happen. University of South Carolina // Reduce, reuse, and rebicycle with the USC’s Abandoned Bike Project, which revitalizes left-behind bikes for new owners. University of Alabama-Birmingham // Not everyone wants to attend a group-intensive backpacking trip. 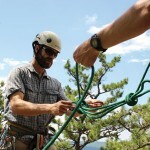 For the independent-minded, check out Outdoor Rec’s gear rental center and Bama Bikes program.